Golden sands, clear blue waters and a fine, shining light that’s beloved of the artists whose cabins and cottages are dotted along the cliffs. Carbis Bay is St Ives’s quieter but equally enchanting cousin. The mile-long Blue Flag beach here is lauded for its consistently excellent water quality — and it rarely gets any surf, making it perfect for bathing and family seaside fun. As the sun rises over the sea, take breakfast on the terrace with a panoramic view. Food lovers should also sample the freshest of fresh seafood in the local restaurants and brasseries. You’re ideally situated for dream destinations on either side, too. 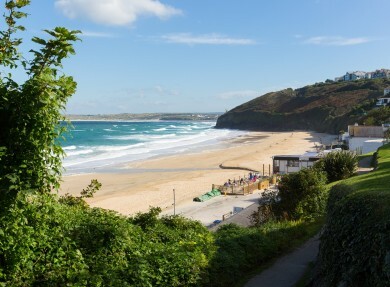 Head west along the curling coastal path and over the hump for a spectacular walk to St Ives. Or set your course east for a glimpse of Godrevy lighthouse, the inspiration for Virginia Woolf’s novel To the Lighthouse, perched on an island that’s home to seals as well as pipits, oystercatchers and cormorants. No wonder there’s an RSPB sanctuary nearby. Abandoning our shoes and feeling the sand between our toes before a refreshing paddle in the turquoise waters of the bay. 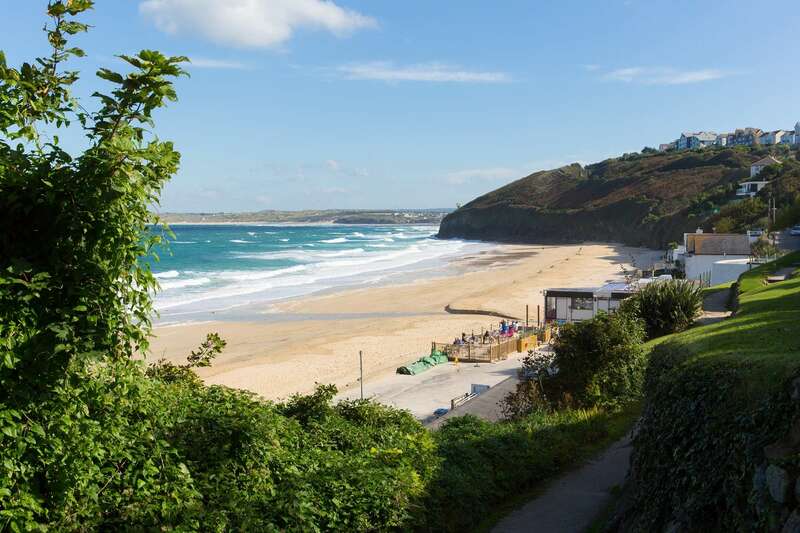 A train ride on the St Ives Bay line – surely one of the prettiest branch lines in the UK. Hotels, B&B’s, self-catering, campsites and boutique retreats. Beautiful beaches, iconic landmarks, wonderful wildlife and historical wonders. Watersports, woodland walks, activity centres, arts and culture. Restaurants, cafes, pubs, bars and farmers markets.